Inside the hollow chamber that is Hall 29, a different kind of examination is under way – every bit as gruelling as an actuarial science final or the last hour of a medieval history paper that have earned the sports and exam venue the grim moniker “Hell 29”. 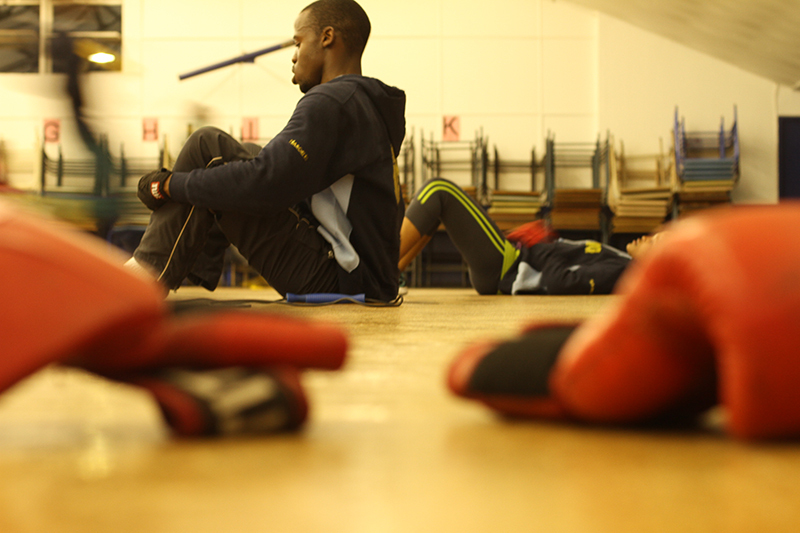 It is one week to the Wits Boxing Tournament and members of the Wits Boxing Club are waging war on punching bags, skipping ropes and any other built structure in sight that dares offer resistance. “Most of our athletes are seriously considering amateur boxing. We’ve got people who are really committed. Some of them are talking Olympics,” team coach Tando Sivile Melapi said. The tournament starts on August 31 and pits the club’s boxers against each other as well as fighters from other clubs and universities for an array of prizes. Melapi, a championship-winning boxer himself, said that the tournament would provide preparation and ring time for his boxers for the upcoming University Sports South Africa (USSA) championships. Wits are the reigning USSA champions. The club also won in 2011, adding to two previous titles. “We’ve had a champ every year since the games started,” Melapi said, listing the scalps his fighters had picked up with a gleam in his eye. He put the success down to the system Wits had in place to groom amateur boxers rather than rushing them into the professional arena. “We take very good boxers from matric into university as a way into employment. You go to the Olympics and you come back to your office [job], and you can go back in another four years,” Melapi said. Sipho Mhlambi, PhD in Microbiology, is a three-time USSA champion and testimony to the success of the programme. 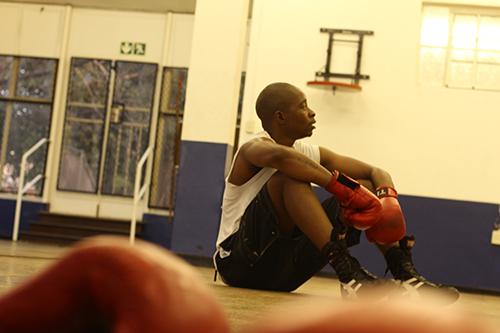 “Discipline is the one thing you get [from boxing] and you can transfer it to academics,” Mhlambi said. The “counter-puncher” said he took up boxing in 2007 to get fit and for self defence, but fighting in the ring soon became an addiction. Kwazulu-Natal born Lungile Duma, 1st year LLB, trained by herself for most of the session in monk-like concentration. Duma recently fought her first bout and won it convincingly. Her coach said she was extremely talented and one of the fighters to watch. Witsies who want pound-for-pound proof only have to part with R10 to catch the action at Hall 29.